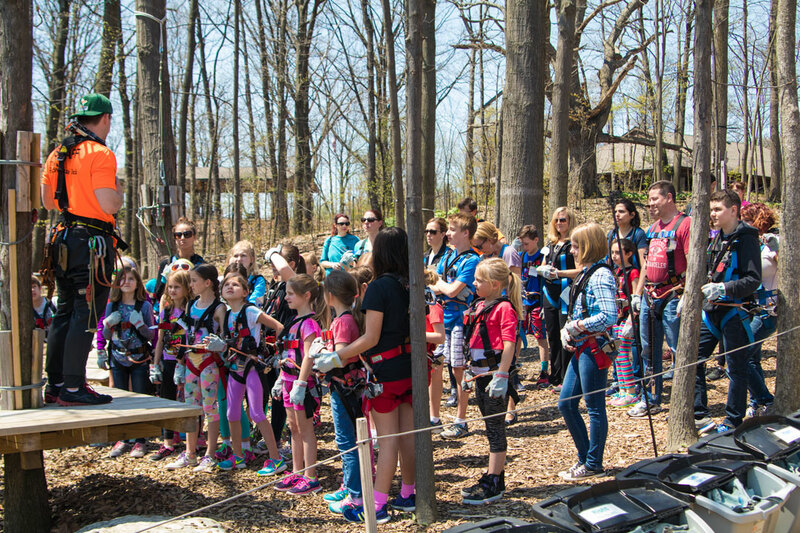 TreeRunner West Bloomfield invites your school or summer day camp out for some fun in the trees at a special price! 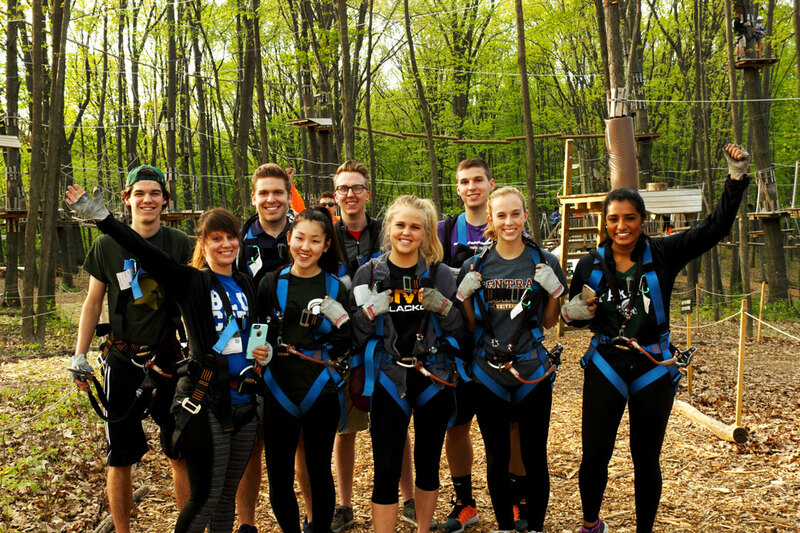 Suitable for all ages, TreeRunner West Bloomfield offers 22 zip lines, 165 aerial challenges, and ten separate trails. Stretching over eight acres and ranging from introductory to advanced climbing levels, TreeRunner presents a rewarding challenge for all ability levels. A perfect destination for school field trips and summer camp outings! Group sizes welcome from 10 to 200+ with weekday rates as low as $25 per person. Free bus parking on-site! Park facilities include plenty of picnic tables for a great outdoor lunch during your time at the park. When planning your schedule with us, we recommend planning for four hours of time at the park. This includes getting the kids off the bus, a 30-45 minute facilitation, up to three hours of climb time, de-harnessing after your climb, and getting everyone back onto the bus. Up to three hours of climb time – please allow an additional 1 hour or so for bathroom breaks, harnessing & safety briefing. Many teachers have asked us for ideas on how to incorporate this into their curriculum to ensure that they get the most out of their experience with us. Below are some ideas on a few topics that will relate to your experience at TreeRunner. Call for more information (248) 419-1550, or email our office at WestBloomfield@TreeRunnerParks.com. Download Our Summer Camp Guide Fill out the form now for more information!